You’ve got to keep your controllers charged and close to your PS4 games and Blu-Ray discs. It makes the whole process of playing the best games on the PlayStation easier. 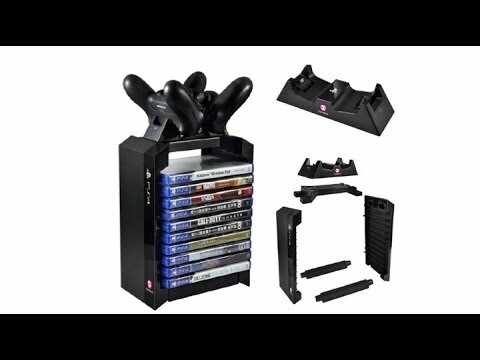 With this Official PS4 Games Tower + Dual Charger you can even charge 2 controllers at the same time, making it even easier to keep your gaming going!